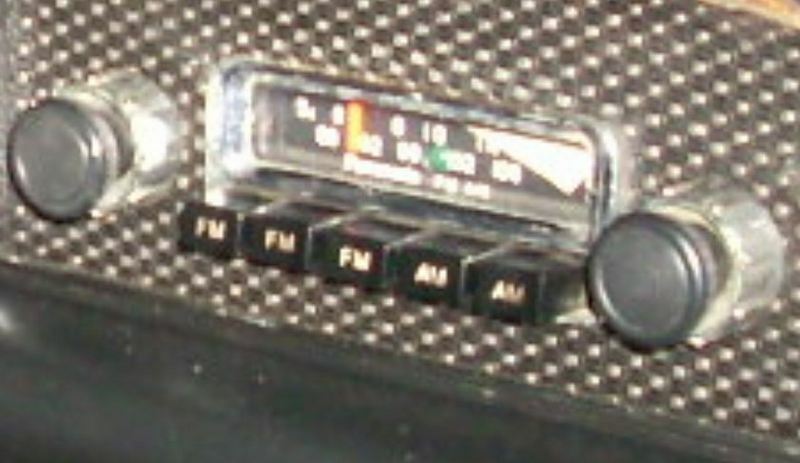 As stated above, all radios were dealer-installed. The car did not come from the factory with a hole for the antenna, thus it may be left, right, or wherever else they felt was the best place for it. Mine's a '74 1.8, but I doubt the dealers put different radios in 914-4s and 914-6s. I have a dealer-installed Panasonic radio, Model CR-003B. Still works perfectly! It was a $150 option at the time (I have the original dealer invoice).